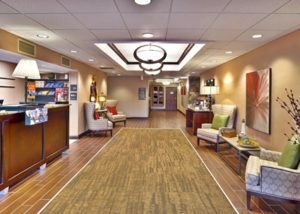 The Award Winning Hampton Inn Marietta is located off Interstate-77 at Exit 1, seven miles north of Wood County Airport and just minutes from historic downtown Marietta. Area attractions include Valley Gem Sternwheeler, The Castle, Children’s Toy & Doll Museum, the Ohio River and Campus Martius Museum, Historic Harmar Village, antique shopping, sternwheeler and trolley tours, and Wayne National Forest. 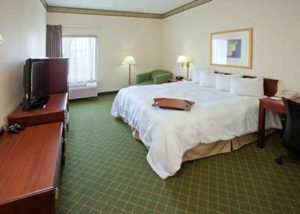 Our beautiful hotel features 80 rooms, including rooms with Jacuzzi and king rooms equipped with both microwave and refrigerator. We offer an indoor pool, fitness room, 24-hour business center, and a board room/hospitality room with a board room that accommodates up to 10 people. 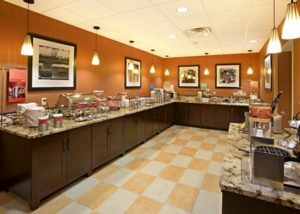 Amenities include on the house hot breakfast, cloud nine beds, in-room coffee maker, complimentary High Speed Internet Access, dataport phones, lap desks, voice mail, free local and 800 access calls, cable TV, cribs and rollaway beds by request, and express checkout. We invite you to enjoy complimentary 24 hour coffee, copies of USA Today, and fresh baked cookies in our lobby. 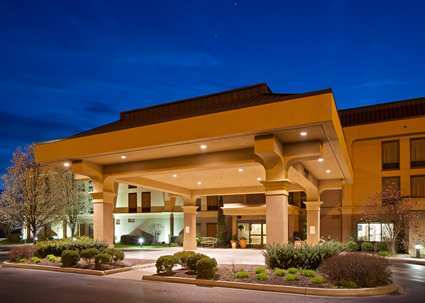 Laundry/valet services, guest Laundromat, Jacuzzi and connecting rooms, in-room movies.